On 19 and 20 November the Austrian Parliament hosted the Plenary Meeting of the Conference of Parliamentary Committees for Union Affairs of Parliaments of the European Union (COSAC). The meeting agenda included a debate with EU Chief Negotiator Michel Barnier, which focused on Brexit negotiations. The members of the national parliaments of the 28 EU Member States and the accession candidate countries, as well as members of the European Parliament also discussed climate policy and the Energy Union, as well as the question of a transparent European Union that is close to its citizens in light of upcoming European elections. The conference took place at the Austria Center Vienna, the permanent conference and media centre of the Austrian EU Presidency. This conference was held within the scope of the Parliamentary Dimension of the presidency of the Council of the European Union. The COSAC plenary serves as a platform for the regular exchange of views on current European topics between national parliaments and EU institutions, in particular regarding the role of national parliaments in EU law-making. In addition, the respective interim report as well as a contribution and conclusions are adopted during the plenary. On the first day of the conference, EU Chief Negotiator Michel Barnier reported on the current state of play of Brexit. Sir William Cash (Chairman of the European Scrutiny Committee, House of Commons) and Lord Boswell of Aynho (Chairman of the EU Select Committee, House of Lords) addressed the issue of Brexit negotiations from the UK perspective. Austrian State Secretary Karoline Edtstadler provided insights into the state of play of the Austrian EU Presidency. The keynote speeches on climate policy were given by European Commissioner for the Energy Union Maroš Šefčovič and Director of the R20 Regions of Climate Action Monika Langthaler. The second day of the conference was devoted to discussing the issue of a European Union that is transparent and close to its citizens against the backdrop of the upcoming European elections. Statements were presented by First Vice-President of the European Parliament Mairead McGuinness, and Austrian Federal Minister for Constitutional Affairs, Reforms, Deregulation and Justice Josef Moser. The COSAC Plenary Meeting was opened by Austrian National Council President Wolfgang Sobotka and Austrian Federal Council President Inge Posch-Gruska. The two-day conference was chaired by Reinhold Lopatka and Christian Buchmann, chairs of the European affairs committees of the Austrian National Council and the Austrian Federal Council, respectively. 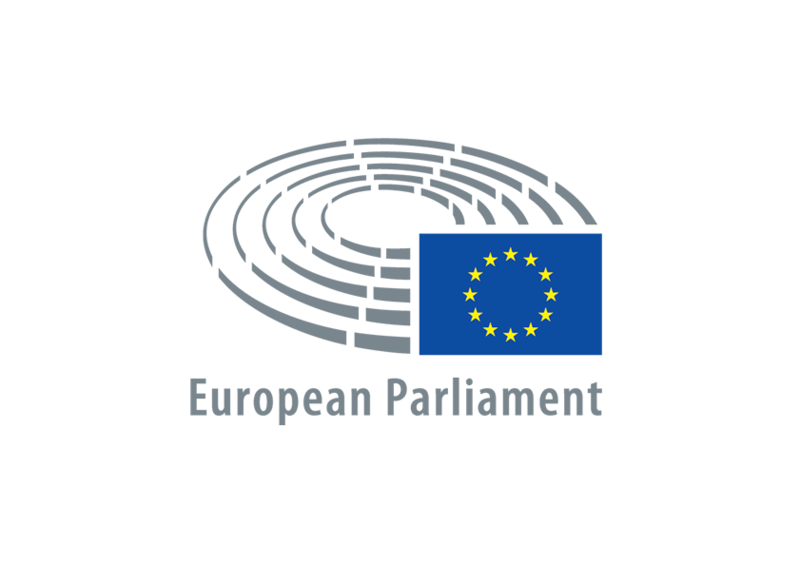 The European affairs committees of the national parliaments are responsible for debating EU projects and for preliminary consultations for EU legislative proposals in accordance with the principle of subsidiarity. 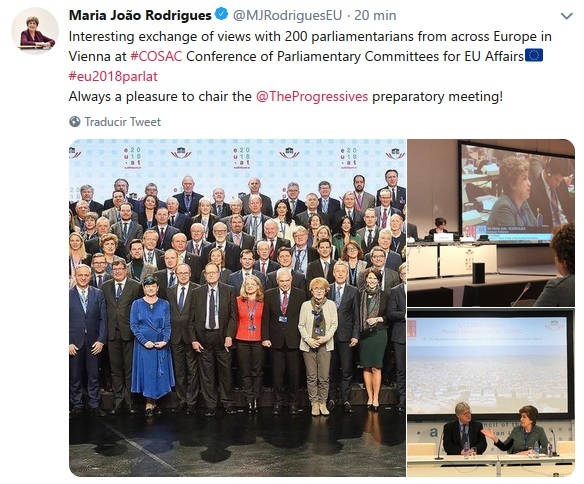 The objective of COSAC is to enable a regular exchange of views on current EU-relevant issues, on their debates in the national parliaments as well as on the participation and role of the national parliaments in the EU. Furthermore, the meeting provides a forum for adopting COSAC’s Contribution and its Conclusions, and for presenting its semi-annual report. COSAC meetings are held four times a year: The first half-year meeting brings together the chairs of the European affairs committees of the national parliaments. The second meeting, the COSAC Plenary, is made up of a maximum of six COSAC delegates from each national parliament and the European Parliament. The parliaments of the candidate countries also have the opportunity to send delegates to the conferences as observers.